Green cleaning is usually the first stopping point for homemakers and individuals who want to change their lifestyle and create a green environment. The reason for this is due to the fact the green cleaning is one as we quickest ways to create a green lifestyle and offers the most benefit initially. 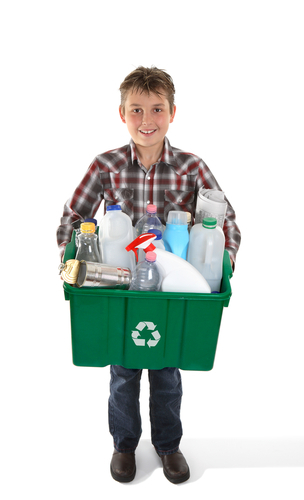 Green cleaning comes in several forms and can range from a small commitment level to a very large commitment level. The following are a few green cleaning lifestyle changes and lifestyle options available to individuals and families. Do-it-yourself green cleaning is one of the fastest-growing green cleaning options available for individuals. Pinterest, Facebook and blogs increase daily on their posts related to do-it-yourself green cleaning. There are hundreds if not thousands of recipes for do-it-yourself laundry detergent, natural cleaning solutions, natural disinfectant solutions and for natural all-purpose cleaning options. These recipes can consist of everything from vinegar and water to clove and tea tree oil mixed with baking soda and borax. When an individual or a family chooses a green cleaning route, this is usually the first stop they take. The reason for this is due primarily to the fact that do-it-yourself green cleaning is one of the most of portable cleaning options. Very few ingredients are used and purchased of all of these ingredients, though more expensive than their counterpart, can last up to five times as long as the more expensive chemical-based counterpart. This makes it an affordable benefit with long reaching green and natural benefit options. Many of the so-called green cleaning products on the market are not in fact natural products but simply chemical free products. These chemical free products reduce the amount of harmful chemicals that are used in the product itself cleaning and replace those harmful products with possible synthetic products that are not as harmful. These chemical free cleaning agents generally use a larger amount of water in their solutions or they will use natural oils and their solutions as opposed to disinfectant options that were previously used. Chemical free cleaning does not have an increased benefit financially due to the fact that many of the chemical free products of the same prices are chemical counterparts. However, a chemical free option versus a non-chemical free option is a simple and quick decision to make when you're first starting out in green cleaning for your green living lifestyle. Seventh Generation, Mrs. Myers, Earth's Best, Lysol and Clorox have all made endeavors to move to a natural cleaning product base. Natural cleaning products generally contain 50% or more natural solution in their product. These natural cleaning products are also a quick and easy change for individuals trying to create a green lifestyle or chemical free environment. They are easy to identify, easy to replace and they are easy to find in most mainstream grocery stores. Natural cleaning products will have a side effect of not sudsing as much as their counterpart but have the ability to do the same job if not better than their chemical counterpart.